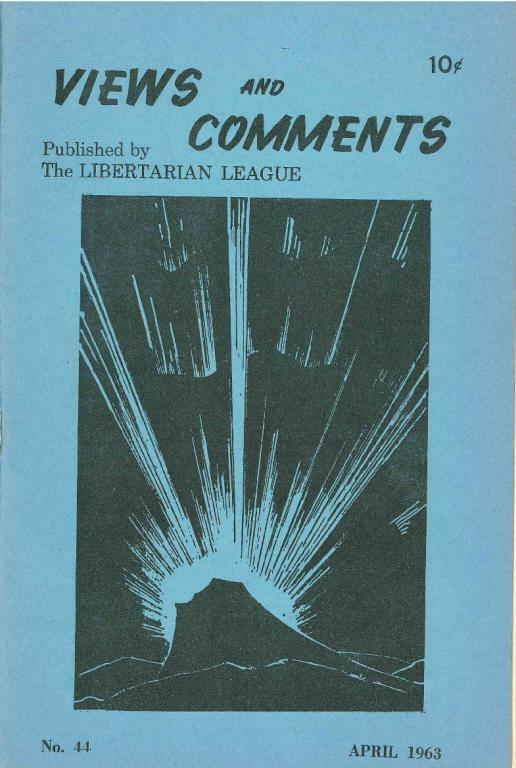 Coming out of the Libertarian Book Club in New York City, Sam Dolgoff, Esther Dolgoff and Russell Blackwell started the Libertarian League in 1954. 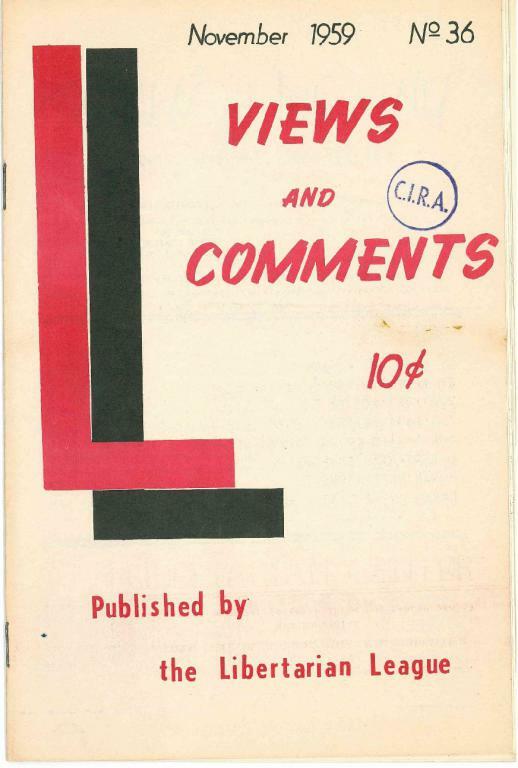 They began producing Views and Comments, an anarcho-syndicalist leaning publication. 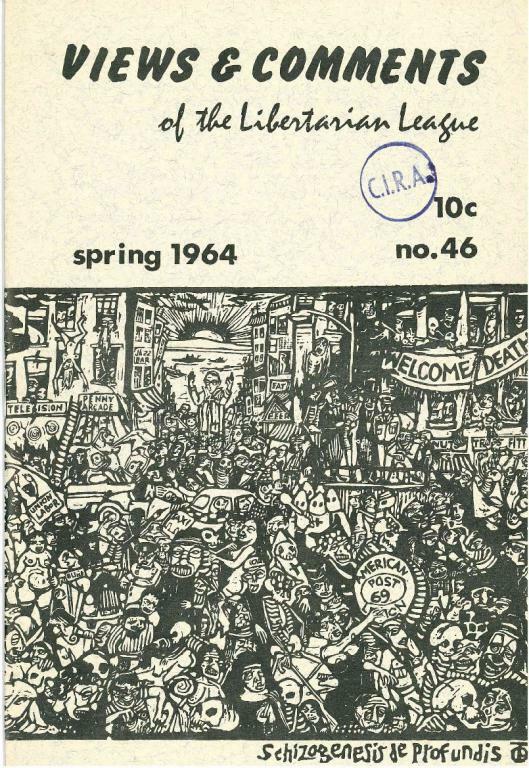 Although rooted in what was left of the aging immigrant anarchist community in the United States, the League and the journal attracted a handful of educated, younger people and its small circulation included a large proportion of universities and colleges. 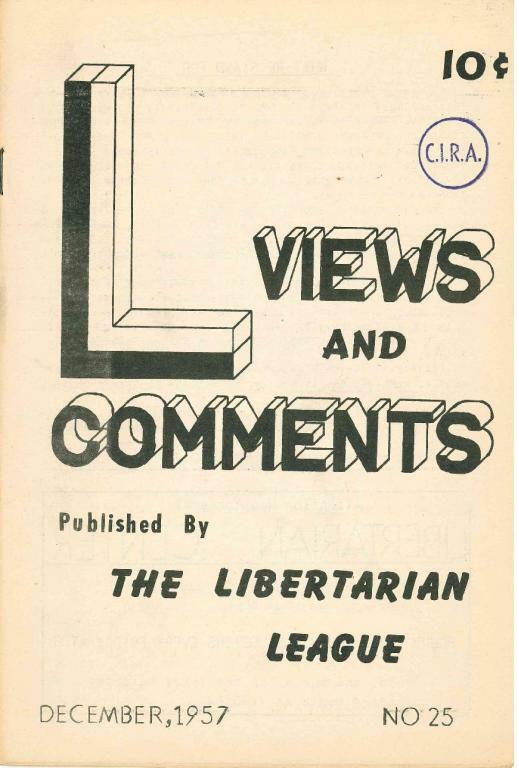 The Libertarian League as a formal organization never grew much beyond the already existing circle around the Dolgoffs and Blackwell in New York City, holding one national conference in Youngstown, Ohio during the spring of 1959. 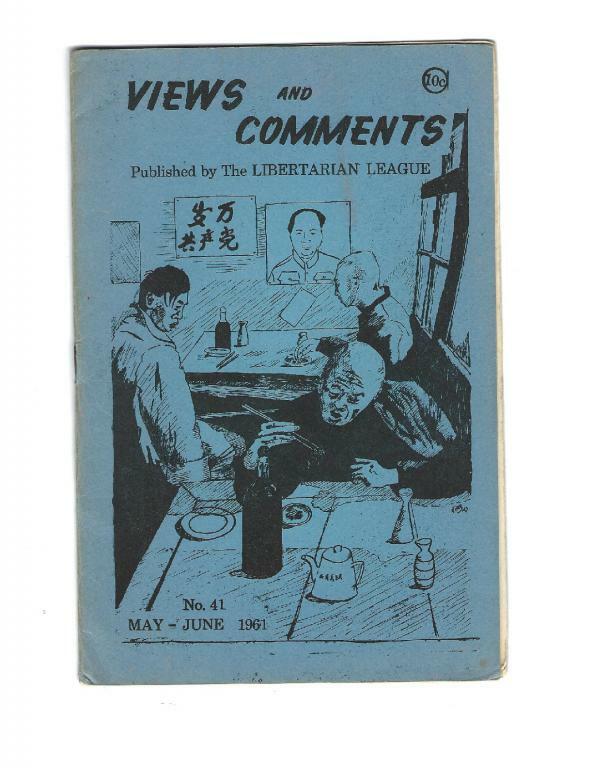 The League mostly concentrated on putting out Views and Comments, as well as holding talks and events in New York City on such topics as aiding Spanish anarchists facing execution and the American labor movement. 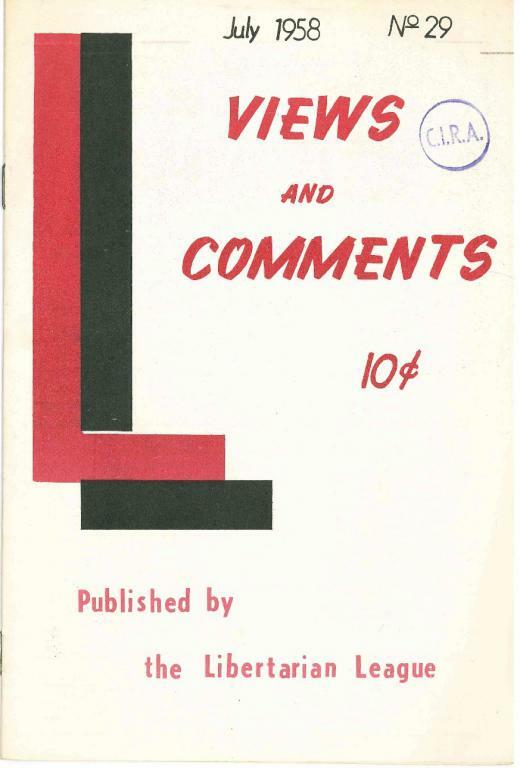 Views and Comments mainly focused on promoting anarcho-syndicalism and libertarian socialism as political categories to transform the world, and included many articles on the international syndicalist movement, the early years of the American civil rights movement, critiques of 'business unionism' and polemics aimed at state socialism. 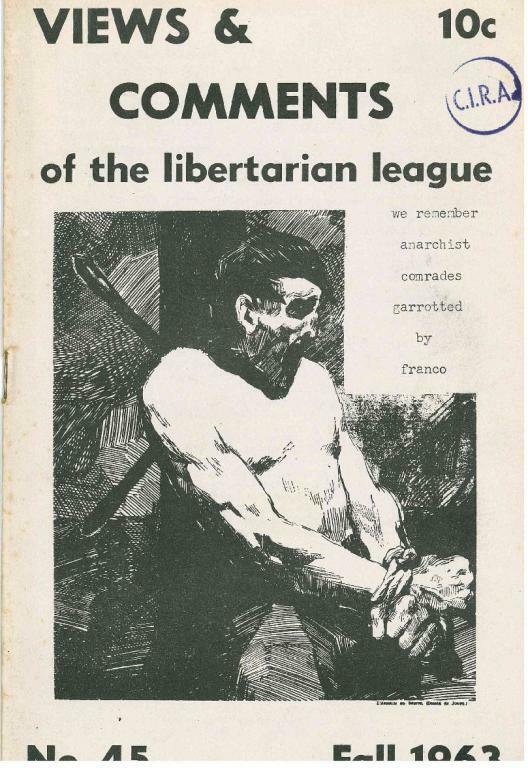 One of the last notable publications primarily run by anarchists whose direct roots lie in the 'Old Left' of the Great Depression and Spanish civil war years, it continued publishing until 1966. The No. 3 (May 1955) issue of Views and Comments, an anarcho-syndicalist leaning publication produced out of New York by the Libertarian League from 1955 until 1966. The No. 23 (August 1957) issue of Views and Comments, an anarcho-syndicalist leaning publication produced out of New York by the Libertarian League from 1955 until 1966. -2. 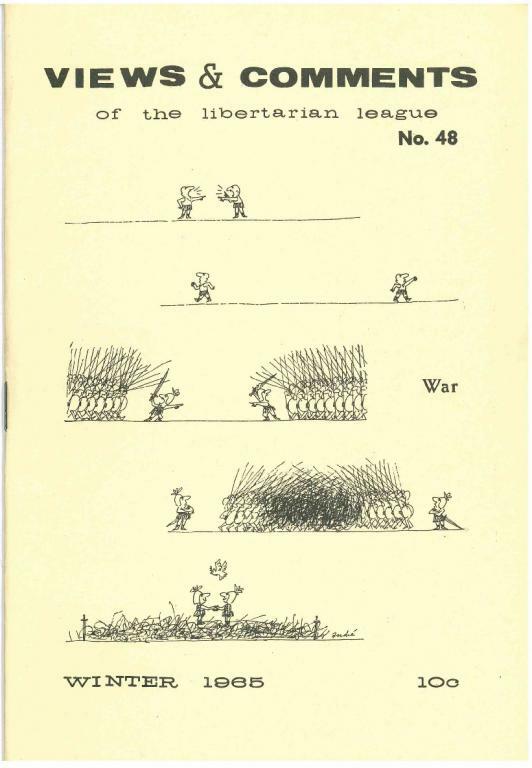 The two anarchisms by "LYG"
The No. 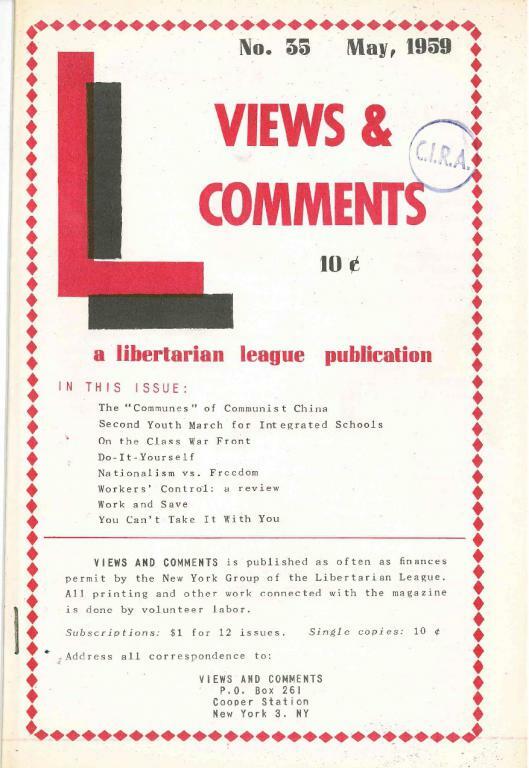 26 (February 1958) issue of Views and Comments, an anarcho-syndicalist leaning publication produced out of New York by the Libertarian League from 1955 until 1966. -General Motors: here we come by G.S. 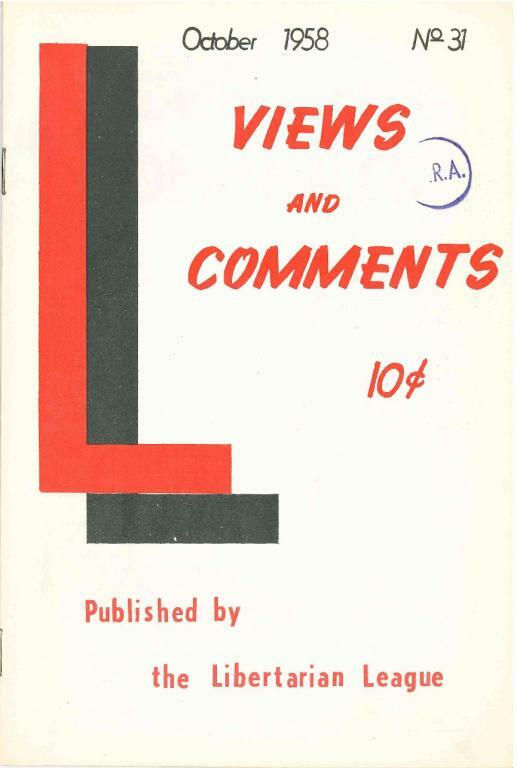 -Belize by Eustasio Beaumont W.
-Letter from the Bible Belt by D.R. The No. 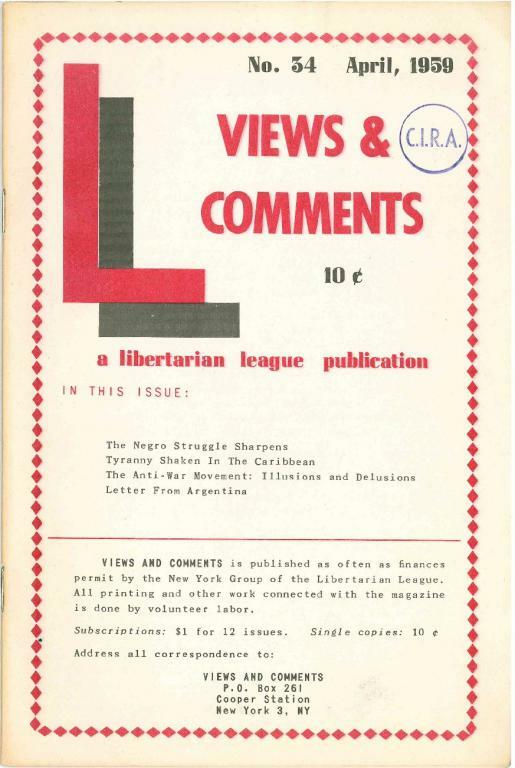 30 (August 1958) issue of Views and Comments, an anarcho-syndicalist leaning publication produced out of New York by the Libertarian League from 1955 until 1966. -Can decent unions stay in the AFL-CIO? 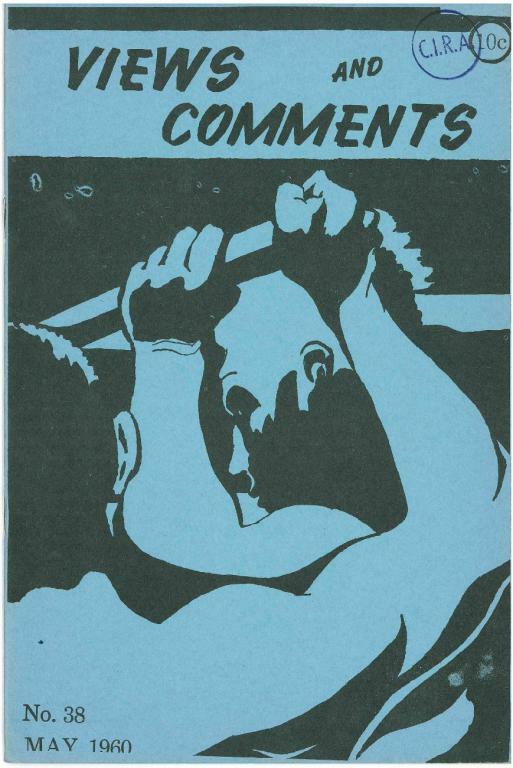 Sam Dolgoff's review of Boris Yelensky's book. 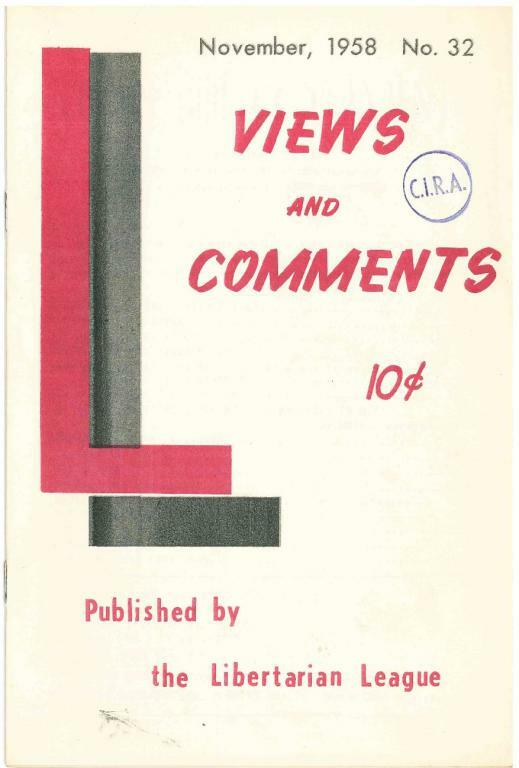 Originally appeared in Views and Comments, n.31 (October 1958). 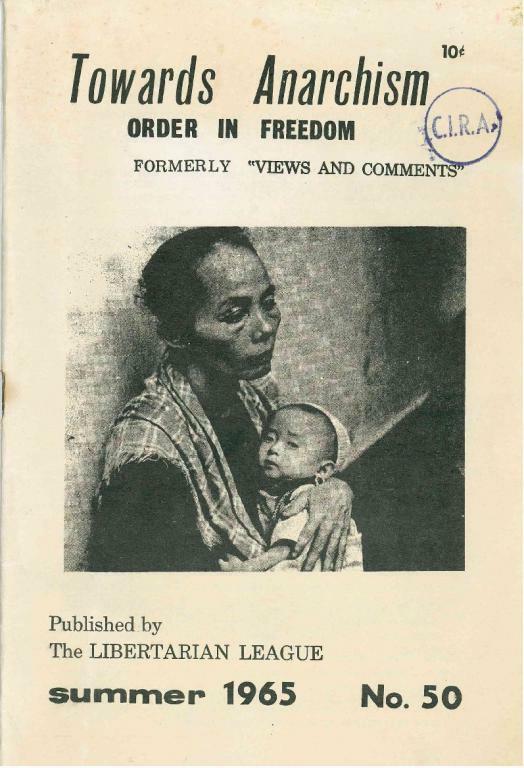 This book was published by the Alexander Berkman Aid Fund, a non-profit organization and all proceeds from its sale “Innure to The Fund For Political Prisoners and Refugees”. 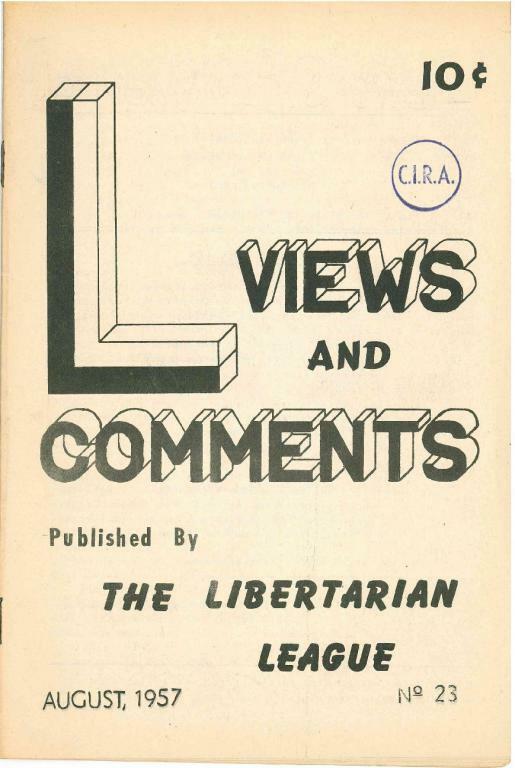 -Libertarian youth group formed in N.Y. The No. 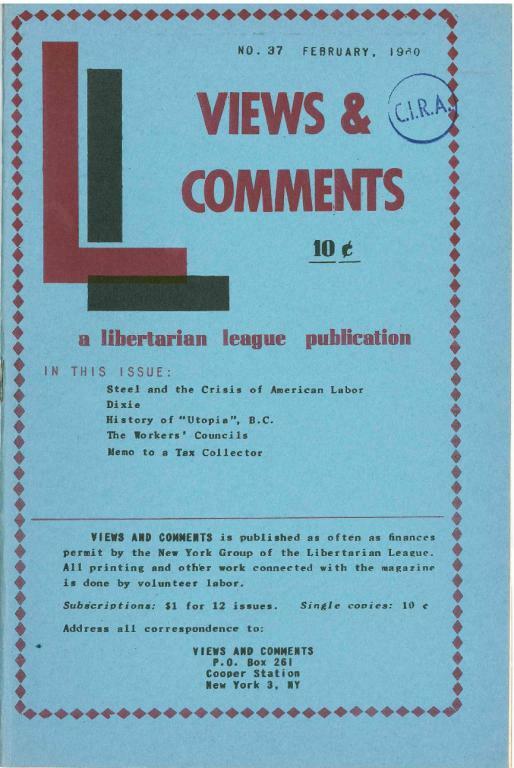 35 (May 1959) issue of Views and Comments, an anarcho-syndicalist leaning publication produced out of New York by the Libertarian League from 1955 until 1966. 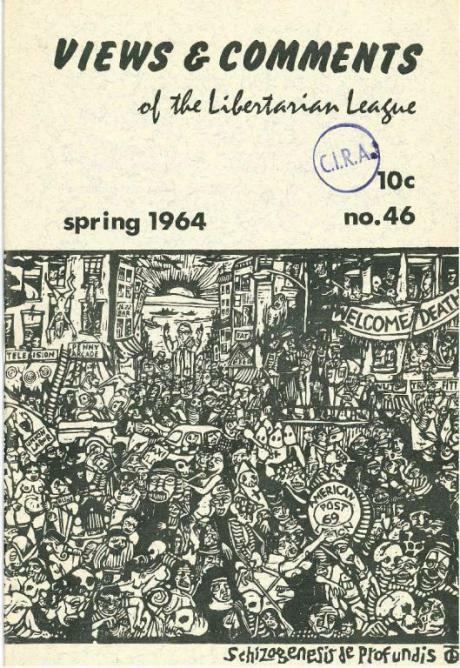 -On the class war front: solidarity in New Jersey; Grooming the crown princes; Hooray for progress! The No. 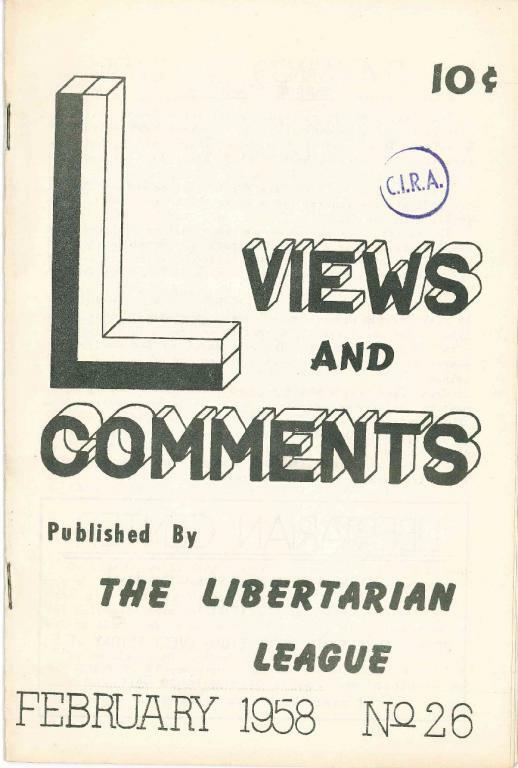 36 (November 1959) issue of Views and Comments, an anarcho-syndicalist leaning publication produced out of New York by the Libertarian League from 1955 until 1966. The No. 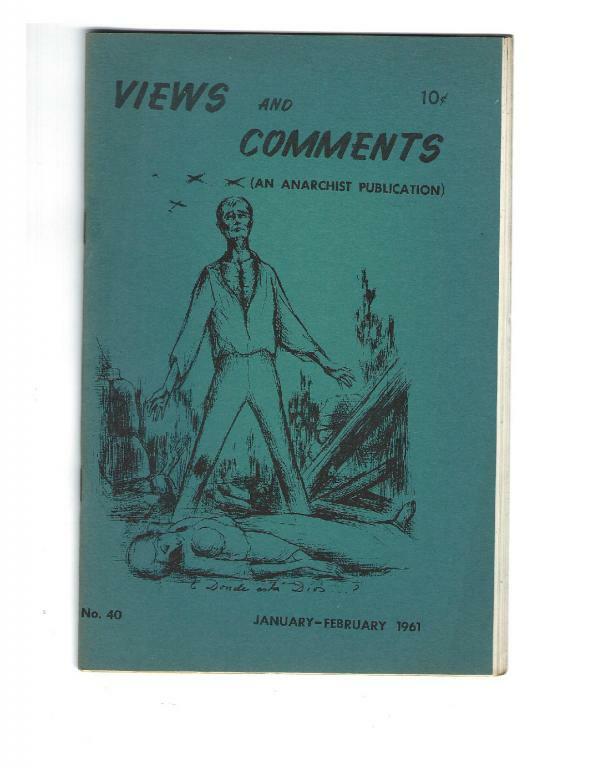 37 (February 1960) issue of Views and Comments, an anarcho-syndicalist leaning publication produced out of New York by the Libertarian League from 1955 until 1966. -The "civil rights" struggle by E.W. 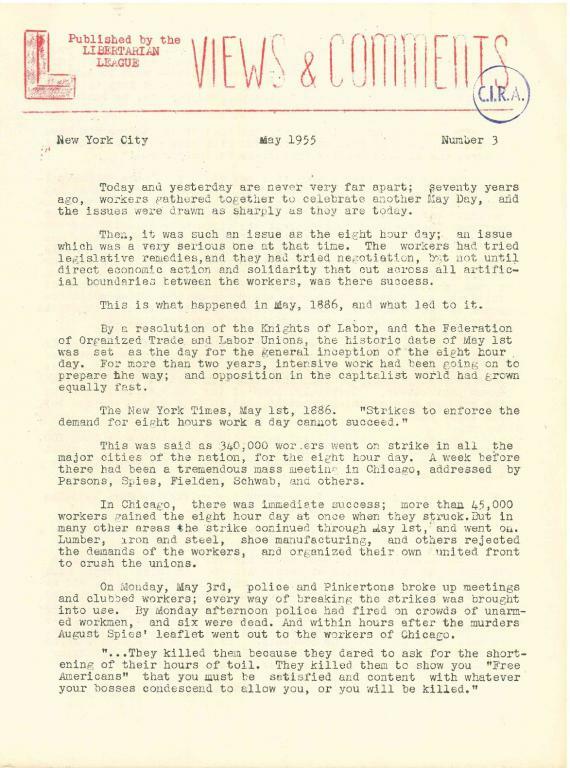 -Eyewitness account from Houston by H.W. 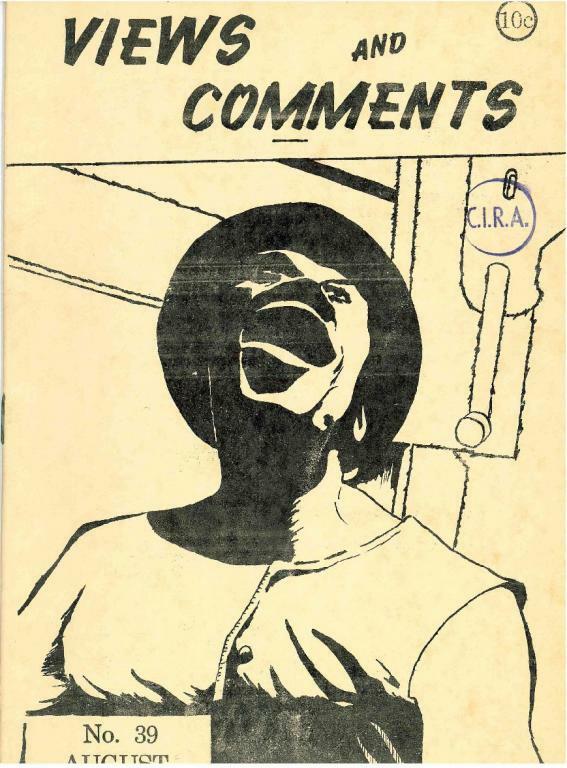 -Lunch counter demonstrations in Nashville by J.S. 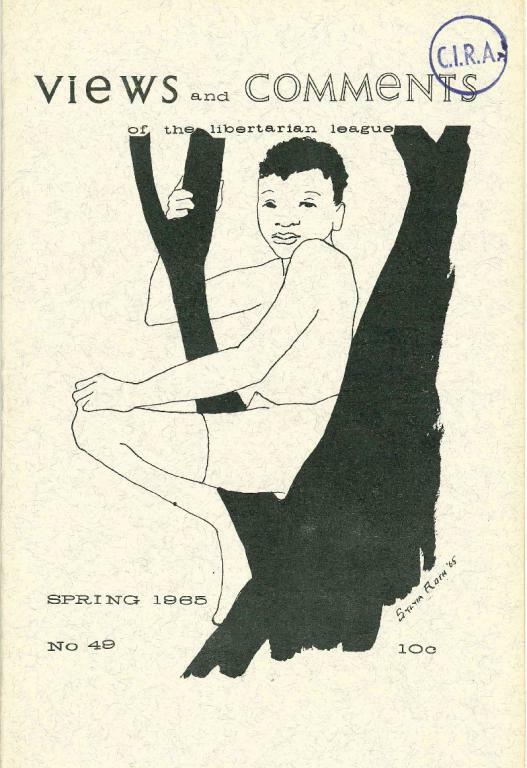 -Report showing youth opposition to draft "not available"
-Obituary: Sheldon Deretchin 1933-1962 by B.B. -Obituary: Nicholas Stoinoff 1862-1963 by R.B. -Cuba today: arms & land by W.S. -We accuse: Johnson, his Pentagon and CIA by W.S. -The fallacy of relying on "democracy"